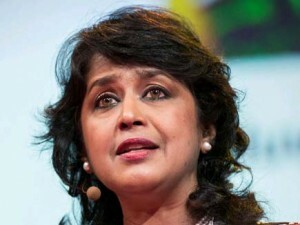 02.06.2015: Ameena Gurib Fakim is the new president of Mauritius and is the first woman president of the country. Parliament is going to approve her appointment on 4th June. Ameena is a biologist and scientist. Mauritius did never had a woman president since it got independence from Britain in 1968. Final Nod of Parliament is awaited before Ameena Gurib takes over as the president. 02.06.2015: Meena Hemachandra is going to replace Chandana Sinha as the executive director of RBI. Meena will look after the non-banking supervision, cooperative supervision and banking supervision departments. Chandan Sinha will look after Financial Markets Regulation Department, Payment and Settlement system and Department of Information Technology. Meena Hemachandra was serving as the in charge of Department of Supervision prior to this appointment. She also worked as the principal of RB college of Agriculture Banking in Pune. 02.06.2015: Amit Jain is appointed as the president of Uber Technologies in India. Uber Technologies is a US based Taxi hailing App. Amit Jain will look after the operations and will be responsible for business strategy and growth of the company. Uber cab services was launched in India in 2013. The service is providing transport facility to millions of consumers in India today and is considered safe and dependable. 02.06.2015: Rear Admiral Philipose G Pynumootil is appointed as the assistant c chief of Naval Staff (Air). Prior to this he was serving as the Principal of Director of Aircraft Acquisition. He graduated from National Defence Academy and was commissioned in Indian Navy in 1986. He studied M Phil in Strategic Studies and PG in Defence Studies. 02.06.2015: P Kunhikrishnan is appointed as the director of Satish Dhawan Space Centre Shar. He succeeded MBS Prasad who passed away last month. Kunhikrishnan was serving as the deputy director at Vikram Sarabhai Space Centre prior to this appointment. SDSC Shar is located near Sullurupeta on an Island in Nellore district of Andhra Pradesh. This entry was posted in Current Affairs, News on June 3, 2015 by Rakesh.